The Les Cabinotiers Celestia Astronomical Grand Complication 3600, which epitomises peak horological mastery, is the only one of its kind. 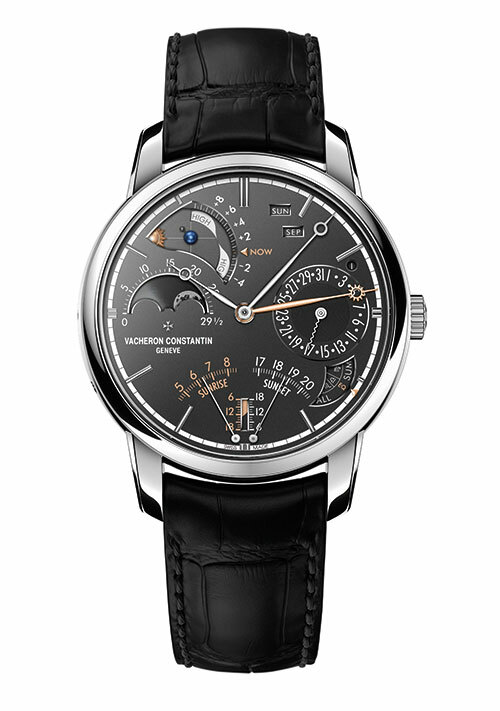 In this unique model, 23 astronomical complications come together on twin dials to provide a reading of time in three modes — civil, solar and sidereal. Created for the 260th anniversary of the Manufacture, the super-complication model exemplifies the tradition of Geneva’s 18th-century ‘cabinotiers’ — highly specialised watchmaking artisans who created authentic bespoke masterpieces intended for prestigious clients around the world. Saluting the unmatched artisanal work of cigar maker Arturo Fuente, the Classic Fusion Fuente Limited Edition presents a finely engraved case, bezel and crown. 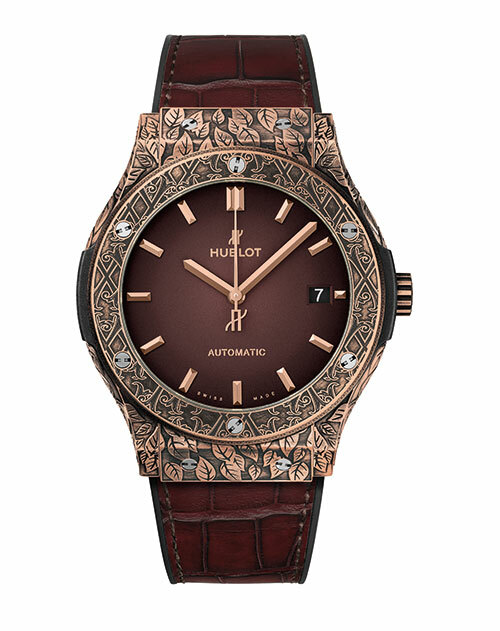 Tobacco leaf carvings adorn the case while the bezel reproduces a motif reminiscent of the earthenware tiles adorning the floors of the old colonial houses of Havana. The watch comes in brushed titanium, bronze and King Gold — an alloy developed in-house, which is a combination of gold and ceramic. 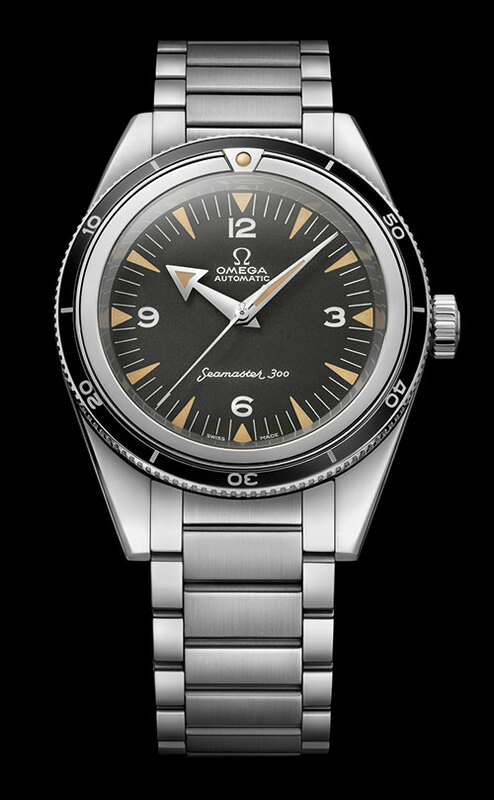 Paying tribute to the original Seamaster 300, Railmaster and Speedmaster models, each of the 1957 Trilogy Limited Editions are cased in brushed and polished stainless steel and feature a retro-style logo on the clasp. However, each one is different, in reference to the fact that suppliers back in the ’50s interpreted the brand’s insignia in their own way. While each watch can be bought separately, true enthusiasts will covet the collectible Trilogy box made of Swiss oak wood that holds engraved versions of the new watches, three spare leather and NATO straps, and a wooden spring bar changing tool. The product of a collaboration with the four-time Formula 1 World Champion that it is named after, the RM 70-01 Tourbillon Alain Prost allows cyclists to track the distance they’ve travelled throughout a season. A pusher at 2 o’clock selects any of the 5 rollers of the odometer, while a 70-hour power reserve is visible at 5 o’clock. The shape of the Carbon TPT case ensures comfort and legibility while riding, something that one can test in style — each buyer will receive a bespoke road cycle developed in partnership with prestigious Italian bike maker Colnago. 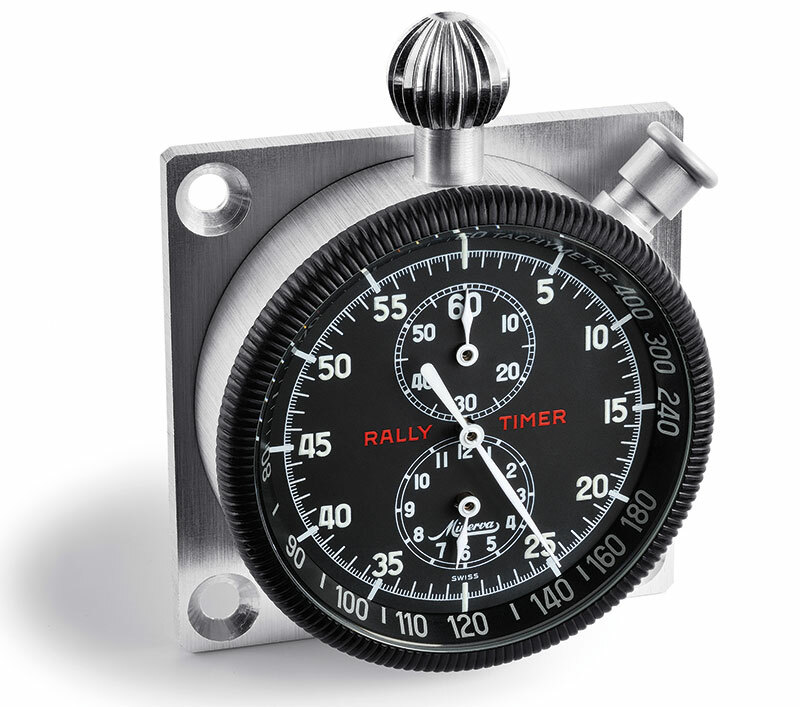 Vintage racing meets contemporary slickness in the TimeWalker Chronograph Rally Timer Counter Limited Edition 100, which is inspired by the famous rally timer stopwatch produced by Minerva for the purpose of recording road racing. 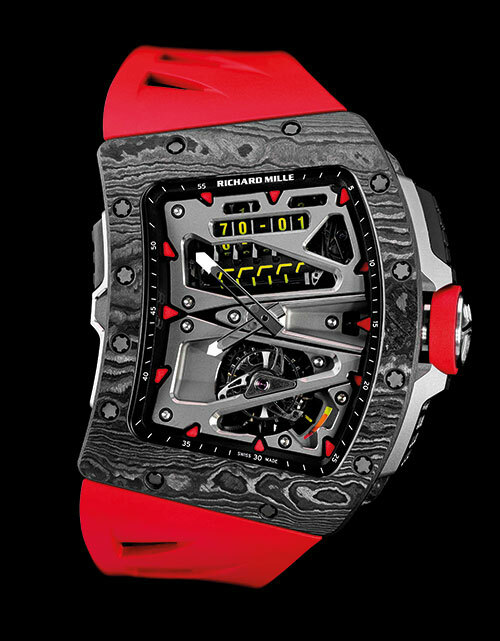 Crafted out of grade-two titanium and adorned with red accents, the innovative black model can be transformed from a wristwatch into a pocket watch or dashboard clock. 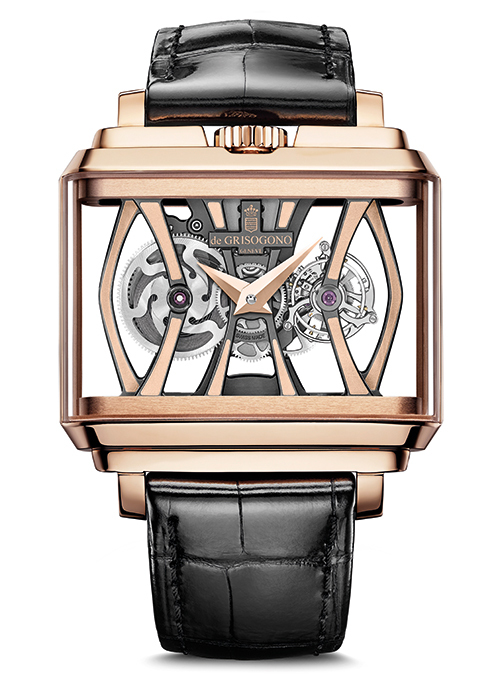 In line with the theme, the open caseback is in the shape of a car grill to reveal a handcrafted movement. Distinguished by a black dial bearing tone-on-tone counters and red accents, the Super Avenger 01 Boutique Edition is equipped for adventure thanks to its ultra-sturdy construction, screwed-in push piece guards and a solid screw-locked crown with non-slip grip. The chronograph, powered by calibre B01 which beats at 4Hz and has 47 jewels and a 70-hour power reserve, flaunts luminescent hour markers and hands, a unidirectional bezel and a sleek steel bracelet. 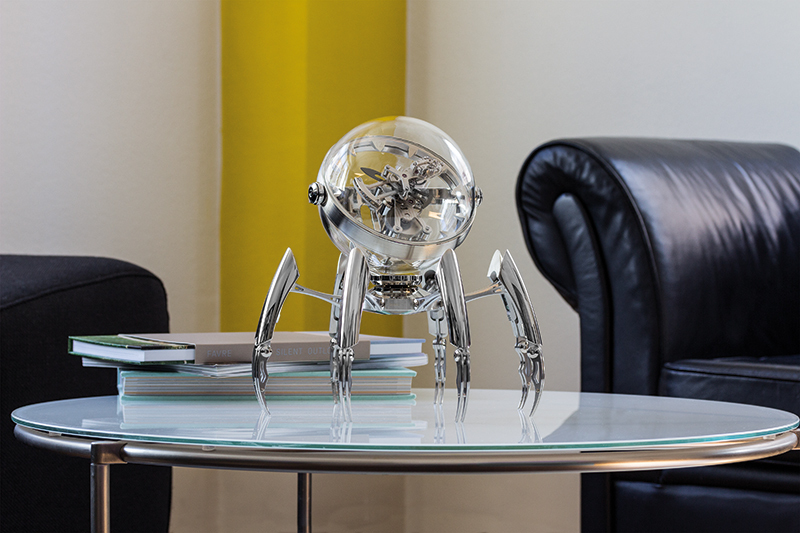 Although the brand is known for its distinctive creations, the Octopod table clock is certainly more ‘out there’ than usual. Co-created with Switzerland’s premier clock maker L’Epée 1839, it stands or crouches thanks to eight articulated legs. The glass sphere that holds the timepiece is fixed in a similar manner to traditional ship chronometers which would remain flat despite its movement. Available with palladium, blue PVD or black PVD legs, the clock features a crystal baseplate treated with anti-reflective coating on both sides to make it seem like the movement is suspended. One of the highlights of the collection, the Da Vinci Chronograph Edition “Laureus Sport for Good Foundation” features a contemporary look aided by newly developed moving horns with curved lugs that ensure a better fit of the Santoni leather strap, along with the iconic blue dial. 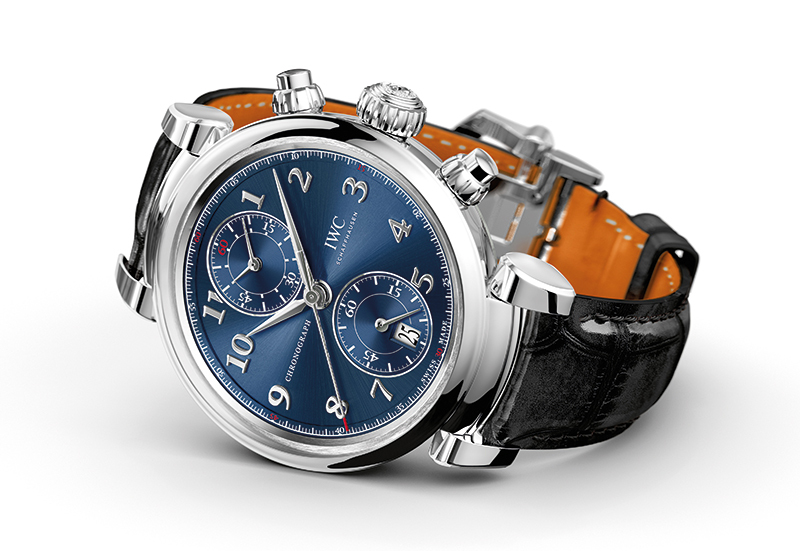 The stainless-steel chronograph shows elapsed minutes and hours on a sub dial and its 68-hour power reserve and draws its energy via the automatic IWC double-pawl winding system. 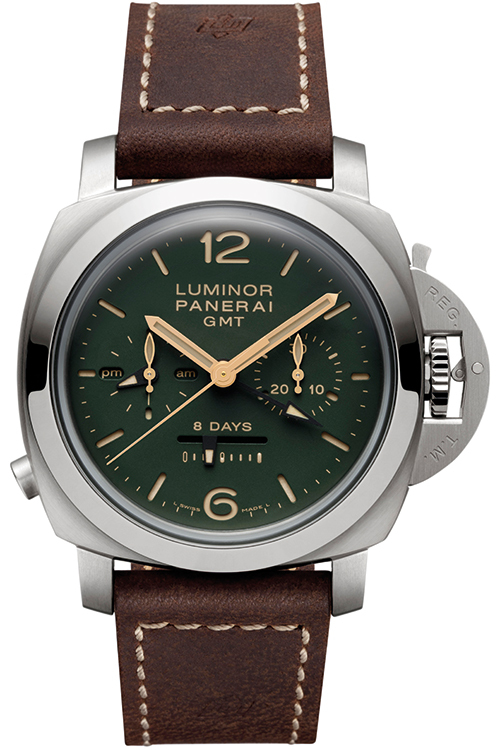 Combining great form and function, the new Luminor 1950 Chrono Monopulsante 8 Days GMT Titanio boasts advanced technical features and a striking, easy-to-read green dial. 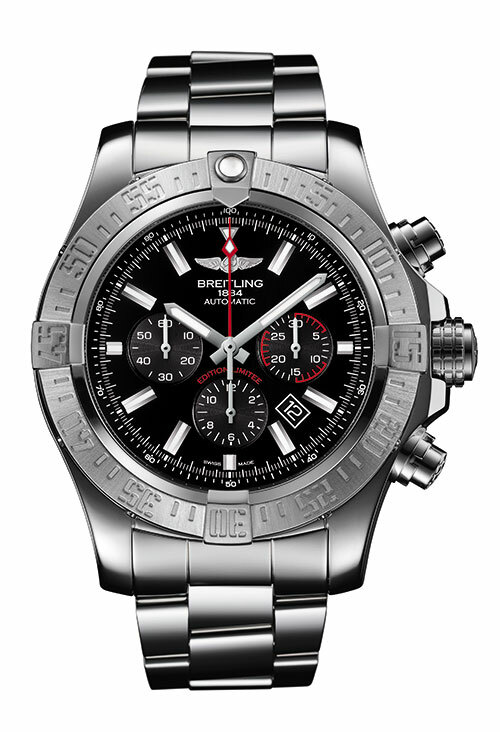 Its brushed titanium case has the classic bridge lever device patented by the brand in the 1950s while the caseband has a push-button at 8 o’clock to control the start, stop and reset operations of the chronograph. The watch is presented in an elegant green cherry wood box. The New Retro Skeleton Tourbillon brilliantly breaks the mould with an in-line skeletonised movement that is elegantly curved all the way through to its bridges. The tourbillon catches the eye at 3 o’clock, as if suspended inside the case and held by bridges that evoke the aesthetics of vintage car grilles. The case, comprising two cambered sapphire crystals that are joined by a slender ribbon of gold, is held by an alligator leather strap featuring large square scales and a saddle finish. The Excalibur Spider Automatic Skeleton is attired in pink gold, the warm glow of which is beautifully offset by a grade 5 titanium bezel and caseback. 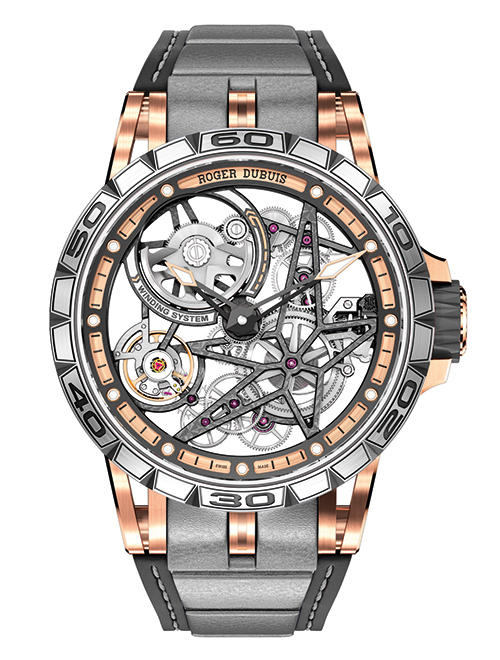 Contrasts abound with more materials and textures, like a black PVD brass skeleton upper flange, pink-gold hand tips, polished chamfers and satin-brushed sides. And, a multi-material strap flaunts a black rubber base, grey calf leather inlay and grey stitching.